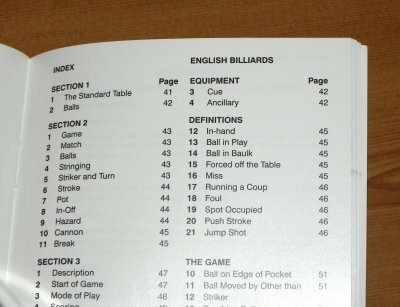 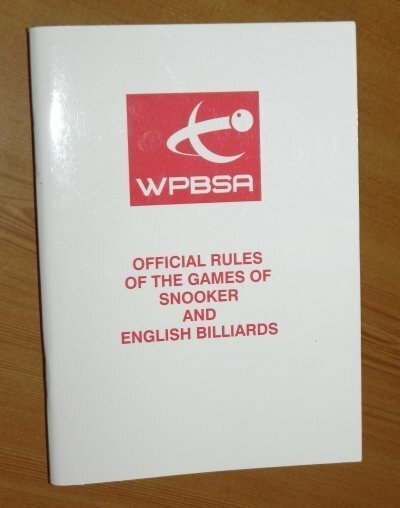 The current official rulebook for Billiards (& the other). 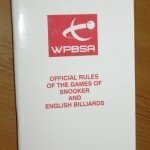 Price £9.20 incl P & P and online payment charge. 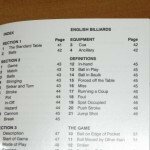 Click here to order and pay using PayPal or credit card.